I certainly would have kept my kids in Montessori forever if I hadn’t realized that it wasn’t sustainable to spend the same amount for elementary school that I’d be spending for a half year of each child’s college education. At a true Montessori school, children learn how to learn and they also come to love learning. 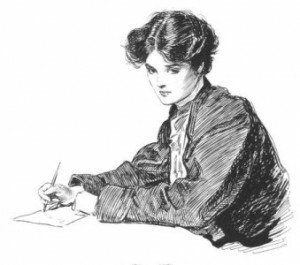 In public school, of course, they’re stuffed with information like geese, study only as much as they need to in order to get whatever grade on the test that they desire, forget what they learned as quickly as possible, and come to hate learning. The ACLU’s devotion to civil liberties has always had a Leftist slant to it, but it’s gone off the rails recently. With the Supreme Court’s announcement that people have a civil right to have the U.S. government bless their love, it recently announced that it will no longer support the freedom of religion element of the First Amendment. Apparently imaginary civil rights trump actual ones. The American Civil Liberties Union (ACLU) embeds tracking software in its emails to monitor the online activity of Capitol Hill staffers, an aide told The Daily Caller after receiving a warning sent to congressional offices. The nonprofit civil liberties group uses a software system called “Capwiz” to insert cookies onto the computers of Capitol Hill staffers who click on links in the emails, multiple Capitol Hill offices recently discovered. Ironically, the ACLU actually puts surveillance software into its emails campaigning against government surveillance. There isn’t a conflict between liberals and leftists over political correctness. Instead there’s a conflict between older white establishment leftists and younger minority social justice activists over their relative power and positions within the left. This conflict is being fought using the rules of identity politics which are deliberately structured to delegitimize and silence white men. It’s an interesting article and, as I said, well worth your time. Do I expect you to publicly denounce the hockey stick as obvious drivel? Well, yes. Michael Mann, Phil Jones and Stefan Rahmstorf should be barred …because the scientific assessments in which they may take part are not credible anymore. Did Mann et al get it wrong? Yes, Mann et al got it wrong. The defamation suit against Steyn by Michael E Mann, inventor of the global-warming “hockey stick”, is about to enter its fourth year at the DC Superior Court – which means Mark has a lot of case research lying around and he can’t wait forever for the trial to start. So he figured he’d put some of it in a new book, now available for pre-order exclusively from SteynOnline. In the fall of 2014, not a single amicus brief was filed on Dr Mann’s behalf, not one. He claims he’s “taking a stand for science”, but evidently science is disinclined to take a stand for him. That got Mark curious as to what actual scientists think of Mann, his famous hockey stick, and his other work. So he started looking – and the result is a rollicking collection of insights into Big Climate’s chief enforcer by scientists from around the world, from Harvard to Helsinki, Prague to Princeton, with commentary from Steyn telling the story of the rise to global celebrity of one Mann and his stick. Advance praise for Steyn’s new book! 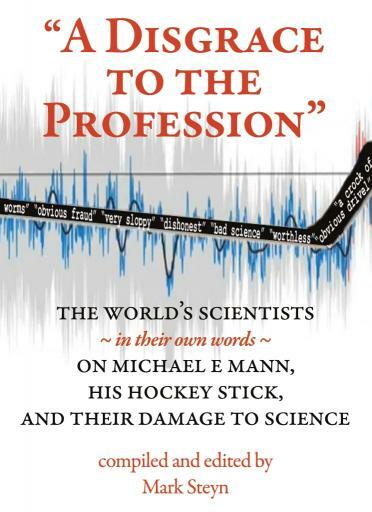 “A Disgrace To The Profession”: The World’s Scientists In Their Own Words On Michael E Mann, His Hockey Stick, And Their Damage To Science – Volume I will be published later this year, but you can make sure you’re the first on your block with must-read book by pre-ordering your copy now exclusively from the SteynOnline bookstore for shipping this summer. And as always Mark will be happy to autograph it personally for you or your warm-mongering loved one. Please note: This is a pre-order for the paperback edition of the book. An eBook edition will be released later this summer, and will be available via Amazon, Barnes & Noble, Chapters-Indigo, etc, but is not available for pre-order from SteynOnline. You can find the link to order here. Here’s why we have to start over with the tax code. From 2001 until 2010, there were at least 4,430 changes to tax laws—an average of one “fix” a day—always promising more fairness, more simplicity or more growth stimulants. And every year the Internal Revenue Code grows absurdly more incomprehensible, as if it were designed as a jobs program for accountants, IRS agents and tax attorneys. Polls show that “fairness” is a top goal for Americans in our tax system. I envision a traditionally All-American solution: Everyone plays by the same rules. This means no one of privilege, wealth or with an arsenal of lobbyists can game the system to pay a lower rate than working Americans. Most important, a smart tax system must turbocharge the economy and pull America out of the slow-growth rut of the past decade. We are already at least $2 trillion behind where we should be with a normal recovery; the growth gap widens every month. Even Mr. Obama’s economic advisers tell him that the U.S. corporate tax code, which has the highest rates in the world (35%), is an economic drag. When an iconic American company like Burger King wants to renounce its citizenship for Canada because that country’s tax rates are so much lower, there’s a fundamental problem. Read the whole thing. We as voters need to get serious about a tax overhaul, or we’ll be stuck forever with the current monstrous and still growing code we have now, and a scarily powerful IRS. Because fossil fuels are evil in a corporate America imperialist kind of way, the smart environmentalist’s money is on the old-fashioned, pre-industrial wood burning stove. Hah! The oaks’ fate, the Trust has confirmed, was to be burnt: as ‘sustainable’ heating fuel in log-burning stoves – a market which is expanding rapidly. According to trade group HETUS, almost 200,000 such stoves are installed every year – a five-fold increase since 2007. Logs, however, feed only a part of Britain’s expanding appetite for ‘green’ wood-sourced energy. Adding to demand is the even faster-growing market for heating and hot-water systems fuelled by wood chips and pellets – which is heavily subsidised by taxpayers. 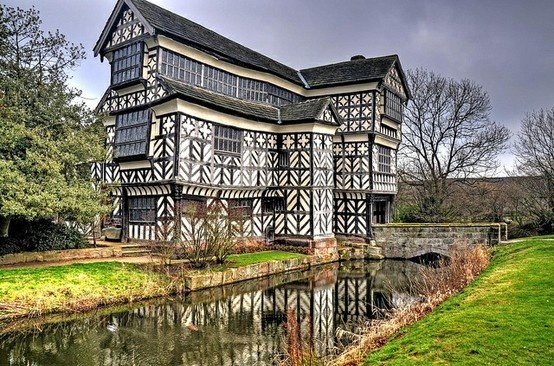 Read more about the latest attack on England’s current incarnation as a green and pleasant land, and its effort to turn it into a desert, here. My daughter calls. It’s time for some Mom/Daughter time watching Say Yes to the Dress. I am a lucky Mom to have kids who want to spend their down time with me. More later.